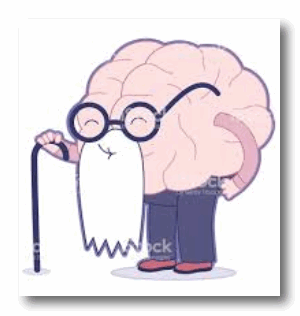 How Old is Your Brain, Eh? Being that the weekend is once again upon us, I decided to find something fun and useful to write about today. Off I went into the infinite cyber land with my old and muddled brain… and that’s when I stumbled upon Brain Age Games. Being one who has to try everything I recommend – I recommend chocolate malts too – I took several of the tests that Brain Age Games offers and I’m happy – no actually I’m THRILLED to tell you (and EB) that my brain age is 35 – which is just about half of my physical age.This just proved to me, once again, that EB doesn’t always know what’s she’s talking about. I bet when she reads this she scurries to Brain Age Games and takes the tests and then calls me to tell me her brain age is 9. You know what? I would not doubt that! Seriously, this site is fun – and maybe even useful, especially if you’re sixty or older. I’m sure a lot of young folk look and me and say: – “Hey look at the prune with legs!” They might say that, but inside me ticks the brain of a 35-year-old, I tells ya! (I also ventured to the sister site of Brain Age Games called Biological Age and found out that even though I may well look like a prune with legs, my biological age is 50 – or much younger than my actual age (sticking my tongue out at EB!). I have been interested in Brain Science (esp in the area of cognition) ever since I left my Bio-technology degree in the 90’s to pursue my interest in web technology. There have been so many exciting breakthroughs especially in the awareness of neuroplasticity. I have a real passion for the field as I grew up on a small farm in New Zealand I am a big believer in personal change. However I am not a neuroscientist – I am sure this site would look quite different if I was :-). And you should not take your brain age too seriously. This just to hand: Professor Levi-Montalcini puts her mental vigour down to regular doses of nerve growth factor (NGF) – the discovery that made her famous. She just turned 100! It’s the weekend. If you have some extra time and you’re over fifty-five years of age, you should now be chomping at the bit to find out just how old your brain is. And you can do that by going to our site pick Brain Age Games right now . It’s free and no signup or log-ins required. You can even drag your friends into the Brain Age rage. I hope you are thrilled when you learn that brain is younger than you ever expected and not disappointed that your old brain is just withered shadow of its former self. And whatever you find out, it’s all in fun. I am not sure any of this stuff means much… but it sure was fun to tell EB my brain age is 35. So much for my rotting brain, EB! And now EB, it’s your turn so be honest: tell us how old that creaky old brain of yours REALLY is! I was fortunate to assist on two brain biopsies. Absolutely fascinating. Not related to that, I think men have both selective hearing and selective memory, right ladies?? Gotcha TC!!!! LOL. Just had to say it!!! Still love your brain. Wow, I knocked off 23 years off my real age. Guess I am doing A-ok, it was fun, thanks for sharing.